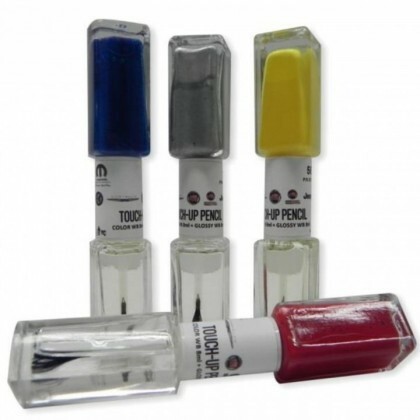 Official Alfa Romeo Touch Up Paint Pen to match original colour from factory production line. Small Stone Chips and Minor Scratches - Any Fiat owners worst nightmare. There's nothing worse than spending a few hours polishing your car and then you notice a nasty Stone Chip or Scratch on your treasured car. They don't only ruin the appearance of your Fiat they can also devalue it and allow the occurrence of rust. But thanks to Fiat Official Touch Up Paint Pens, the problem can easily be resolved. All that's required is one of our Touch Up Paint Pens. PLEASE NOTE - Only suitable for MINOR scratches and SMALL stone chips, this is not for use on large scratches or dents. If you are still unsure, please contact us BEFORE you purchase. Why Buy Genuine Fiat Touch Up Paints?